Welcome to another installment of our troubleshooting series where we aim to help our readers who own the #Samsung #Galaxy #Note5 fix the issues that they are experiencing with their device. 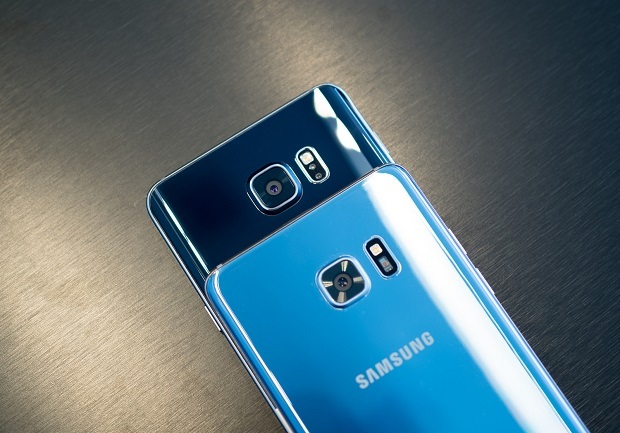 Today we will tackle the Galaxy Note 5 text messages are not being sent issue & other related problems. As we all know, text messaging has become an important form of communication ever since mobile devices became popular. While it is quite easy to send out a text message using this model there are instances when the message is not being sent. We will take a look at why this is happening and what can be done to fix the problem. Problem: Hello, I send group texts to my students regularly and have ran into problems where I’m unable to receive or send text messages after sending too many texts (non-group or group). I’ve been to the Sprint store and have called Samsung to troubleshoot (both took hours to resolve) and it eventually fixed the problem (neither knew how they did it) but it is not long term. I never get an error message that my messages are not being sent either. I have made sure not to send out more than 25 to 30 messages at a time even though my phone allows up to 40 recipients at a time. I also make sure I either schedule or individually send my group messages a few minutes apart so I never have more than one group message going out at the same time. I changed to another app on my phone and some messages are going out and some not. I thought it was a android/iphone issue but I’ve been able to send to both and not be received by both. I would really like this to be resolved. I just realized this morning that none of my messages since 4pm yesterday have been received by my students or my regular contacts. Thanks. Solution: I’m suspecting that this is a network related issue wherein there is a limit to the number of text messages that can be sent for a particular period of time which prevents spammers from using the network. You will have to confirm with Sprint if this is an active feature in your account. It’s also possible that the issue is caused by a glitch in the phone software. To check if this is the case try to do the following troubleshooting steps listed below. Clear the cache and data of the text messaging app. If the problem is caused by a corrupt temporary data of this app then this step will fix the problem. Try to check if the issue occurs in Safe Mode. When you start the phone in this mode only the pre-installed apps are allowed to run. If the problem does not occur in this mode then it could be caused by an app you downloaded to your phone. Find out what app this is and uninstall it. Backup your phone data and do a factory reset. Problem: I have a Note 5 and lately after sending and receiving text message with my son, who has a Note 4, the messages stop sending and I have to restart my phone and then copy and forward the message to him and this does not always work either. I can send messages to anyone else and they go through right away. This has happened on a daily basis for the past month. What do I need to do to correct this? Solution: If the problem only occurs when trying to send a text message to a particular contact then listed below are the troubleshooting steps that you need to do. Delete the conversation thread of the affected contact in your phone. Clear the cache and data of the text messaging app from the application manager. Check if the issue occurs in Safe Mode. If it doesn’t then it could be caused by an app you downloaded. Find out what app this is and uninstall it. Problem: Hello… I had terrible texting lag, especially when the other party was composing/sending a text at the same time… I had to wait until they had finished their text… very frustrating to say the least. I found the fix!!! I had over 13,000 texts to one person stored on my device… and was wondering if that had anything to do with the lag issue. I deleted all of the obsolete texts and voilà…text lag is gone! Solution: When you accumulate a lot of text messages in one conversation with a particular contact this will increase the data storage being used by the messaging app which in turn will slow it down. It is therefore best to regularly delete text messages to keep the messaging app lean and fast. Problem: Hello, I’m not really sure when it started in relation to an update, but my phone has stopped showing when I have messages when my galaxy note 5 has stopped showing on the lock screen display when I have a text. It will vibrate or make a text notification sound and light up the screen but it won’t say “text message” thing when it’s locked. It’s only moderately irritating since I can still unlock my phone to see, but sometimes I like to just “wake up” my phone without unlocking it to see if I have a text. Related Problem: Whenever I receive a text, I get the sound notification, but the text preview isn’t on my lock screen, nor is the envelope notification on the top bar on the lock screen. Additionally, the blue led notification light also doesn’t light when I get a text message. So I am never quite sure I get text messages until I unlock my phone. Solution: This could just be caused by a notification setting issue. Make sure that you are using the stock messaging app of the phone. Open the messages app then tap on more which is located on the upper right side of the app. Tap on settings then tap on notifications. Tap on the notification switch making sure that it is turned on. Tap on the notification sound and choose your desired option. You should also make sure that the pop-up display and preview message display is turned on. If the above steps fail to fix the problem then do the following steps listed below. Start the phone in Safe Mode then check if the issue occurs in this mode. If it doesn’t then the problem could be caused by an app you downloaded. Find out what app this is and uninstall it. Solution: Try clearing the cache and data of the messenger app then check if this fixes the problem. If it doesn’t then proceed with checking if the issue occurs in Safe Mode. If it doesn’t then an app you downloaded could be causing the problem. Find out what app this is and uninstall it. Should the issue persist then I recommend that you backup your phone data then do a factory reset. Problem: When I open up my text messaging screen, it states white and doesn’t show any contacts or past text messages, it errors out and says report, wait or close? Solution: This issue will usually be resolved by clearing the cache and data of the text messaging app from the application manager. Hi, i am note user, i had updated my phone from note 3 to note 5 one year ago. after observing i verified that some people sent me sms but i didnt received. i took some measures but remained in same situation(although it was not frequent). I changed my set and got a new note 5 but still facing the same issue some sms are missed , i dont receive them. i contacted with the operator but according to them the error code which they reveived belongs to the hand set. please suggest.